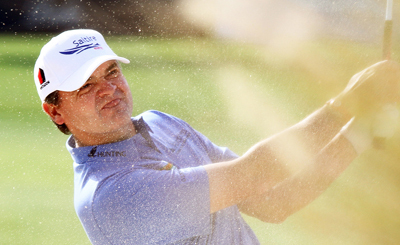 Paul Lawrie 14/1 is having a fantastic season, only for a very inform Luke Donald and he would have added this year’s PGA title to his Qatar Masters title. Throw in another five Top 10 finishes so far this year and the lad from Aberdeen is putting together one of the best years of his career to date. I thought George Coetzee 20/1 was going to pull it out the bag for us last week when I tipped him at 75/1 for the PGA Championship, but his second and third rounds let him down after his opening 68, but the good news is he finished like a train, posting a final round 66 that should see him come into the Welsh Open full of beans. How can you discount a home-grown player like Jamie Donaldson 33/1, he would love to win here. It’s not been a vintage year for the Welshmen with his best tournament being a third place finish at the Hassan ll Trophee. He does have a couple of other Top 25 finishes to his name but I’m hoping the home advantage will spur him on rather than hinder his chances here. 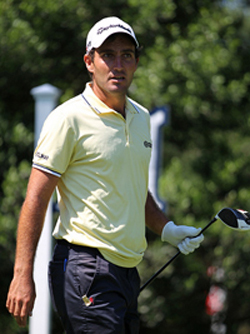 It’s not been the greatest of years for Eduardo Molinari 40/1, his best outing so far was at the Hassan ll Trophee where he had a sixth place finish. He has had three other Top 25 finishes but Eduardo is another player with too much talent not to at least challenge a couple of times this season and maybe being back at the Ryder Cup venue will inspire the Italian. Although Richie Ramsay 66/1 missed the cut at last week’s PGA Championship he did shoot an opening round of 69. Friday saw some tough conditions at Wentworth but if you look back at Richie’s last five tournaments he’s only been outside the Top 20 once, so I expect him to be back on form this week. This weeks outside bet is another player who’s not had the greatest of years so far is Fredrick Andersson Hed 110/1, the swede has only made the Top 25 twice so far this season one of those coming at last week’s PGA championship where he carded his first Top 20 of the year. But the big swede will have a couple of good tournaments in him this season and will come into this week’s event with a bit of confidence on a course he seems to enjoy playing on.